Max’s Restaurant is once again dishing out thousands of their famous fried chicken straight from the kitchen and into the stomachs of hungry customers. Every year, the country’s buffet stalwarts eagerly wait for Max’s Chicken All-You-Can, an annual chicken festival for fowl-loving foodies. While a door charge of P249 per head seems like a pretty good deal, is availing of their Chicken All-You-Can promo worth your money? How can you make sure that you get your money’s worth whenever you find yourself surrounded with a plethora of dishes? And is quantity the attribute of the champions? Max’s Quarter Chicken will be served with one (1) glass of Pepsi products for only P249. Valid for dine-in transactions ONLY at selected Max’s restaurants from 2 p.m. to 10 p.m.
Chicken will be served after each piece has been consumed. One time serving of drinks only. Strictly no sharing and no leftovers. Not valid in conjunction with any other ongoing promos and discounts. Not available for takeout, delivery, bulk order, and functions. For only P249, you can create a heaping mound of chicken bones and enjoy unlimited servings of a quarter-cut chicken for eight hours. To find out how many servings you need, first you need to know how much a whole chicken regularly costs. According to Max’s Zomato page, a regular whole chicken is priced at P409, while a family-size one, at P499. If you divide their chicken into four servings, the cost per quarter part is P102.25 and P124.75, respectively. Judging by their nominal value, it already appears that the unlimited chicken bonanza is cheaper than your whole chicken on a normal day. However, the difference between value lies beyond the price on the menu. 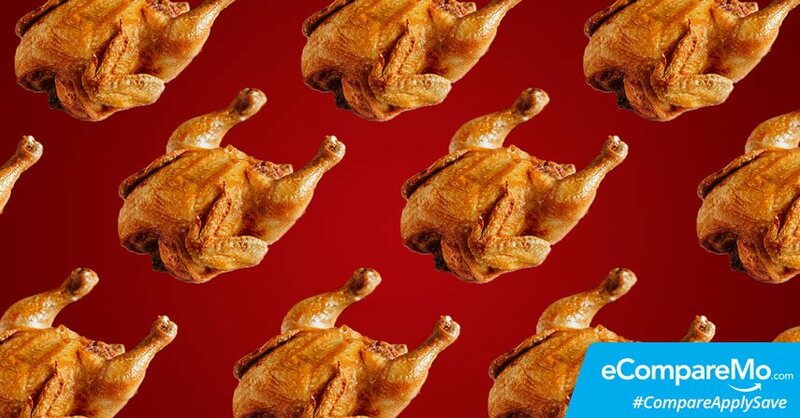 Based on the price of regular chicken per serving, all you need to match the price of all-you-can-eat chicken is two quarter servings of a family-size chicken at P249.50. This means that once you’ve exceeded two servings, you’ve already bested their regular price. Imagine if you can go beyond six or eight quarter-size portions, you would’ve already shelled out quadruple of the promo price if you choose to binge on their chicken on a regular day! In a nutshell, the best way to win Max’s Chicken All-You-Can promo is to eat beyond two servings. That’s how you get your money’s worth. But why stop there? Why not create the most metal thing ever, which is a huge pile of chicken bones? Getting the value point of Max’s chicken promo is easy, since there’s just one type of food served and the comparison between the regular and promo price is easier because of portioned servings. However, how about when you find yourself in a buffet, with dozens of dishes to choose from? Shop before you make a stop. It’s tempting to immediately grab a plate and just stuff it with whatever’s within your reach, but you need to pick first which ones are worth trying. The idea is if you can’t have a dish on a normal day, give it a go. Remember the market prices. If you’re looking for maximum value on your trip to buffet, pick the dishes with ingredients that are pretty expensive. For instance, shrimp, beef, and some types of fish are more expensive than the rest and will rack up the value of what you’ll eat. Try new dishes. Do some items sound foreign to your ears? Now is the time to give yourself the chance to feast on new dishes and discover new flavors. Just remember to only take only a small portion so you don’t have to worry about leftovers and their corresponding penalties. Pick a lot of dishes in small servings. Want to give everything a full lap even if some dishes are worth the second round? Why not just get a small portion of these items so you’ll have enough room for a lot of their offerings? Dine out at lunch instead of dinner. Most buffets in the country have different rates based on time of the day. Usually, lunch buffets are cheaper because most people don’t have the luxury of eating out. Get the same assortment of fares for a lower price. Forget sodas and juices. It’s tempting to try their selection of different juices and sodas, but doing this will make you feel bloated easily, leaving you with little to no precious real estate for more chow. All-you-can-eat schemes are not just an invitation for us to stop counting calories and start counting the plates we’ve had. It’s also the perfect opportunity to get more out of what we usually pay for. So the next time you and your squad decide to either eat all the chicken in the world or go around the world with the flavors of buffet dishes, remember to go big…or go home.